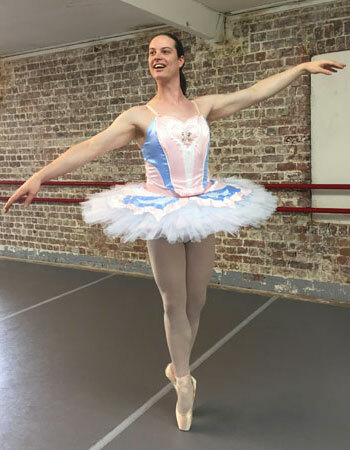 Every step of the gender reassignment process takes Sophie Rebecca, who is training at Lynton Academy of Dance, closer to her dream of becoming a ballerina. The social and physical challenges have only strengthened her resolve, despite her belief she may never dance professionally. Neil Norman finds out about her struggles and ambitions. When were you first aware that you wanted to become a dancer? When I was about four or five, I was watching Blue Peter and there were some dancers performing as the sweets [from The Nutcracker] in these amazing costumes. They were so elegant and beautiful and I was instantly hooked. I just wanted to be a ballerina from then on. Did you want to be a ballerina from the beginning? I always wanted to be a ballerina, the tutus were so magical and the way the dancers flowed and moved was like a dream. Like any little girl, though, it was the tutus that hooked me. What was the reaction of your parents to your ambitions? They weren’t so keen on me being a ballerina. I kept being told boys didn’t wear tutus. My parents were always very loving and supportive but I lacked the self-awareness to explain to them that I didn’t feel like or want to be a boy. At what point did they become supportive, if ever? Sadly my father passed when I was young, but my mother has always been supportive. When I first expressed my gender dysphoria she was like any parent, worried about how people would treat me, and she always worries. But she got me numbers of support groups and what little literature there was available back in the 1990s about it. Now she sees how happy it makes me and, however unlikely it is to happen one day, I’d love to be on stage with my mum in the audience. Would their reaction have been any different if you had wanted to become a male dancer, ie the Prince? I think they would have been reluctant but supportive in the end. Sadly, ballet is seen as a very feminine art form and boys are often put off by teasing, but the strength, control and agility boys have is just incredible. Do you think gender bias is greater in ballet than in other performing arts? I think you’d be hard-pressed to find a stronger gender bias than in ballet. If you want to succeed in ballet as a girl, you need to be near perfect for it physically and work very hard from a young age. There is more allowance for the height and appearance for male dancers. What stage are you in the transitioning process? Do you have any idea how long it will take? I am very early in my transition. For six months from December, I’ve been on low-dose hormones that are designed to stop the progression of male characteristics. In June, I started testosterone blockers and am in the process of increasing my oestrogen levels to develop female characteristics. Seeing lumps form in the right places as I essentially start puberty again at 36 has been a rollercoaster, but I’m so much happier. Once I get to full-strength oestrogen in the next few months, it’ll take about three more years for all the physical changes to complete. I’m sure we all remember how much puberty sucked the first time, and it’s no more fun the second time. Which is most important to you, being a woman or being able to dance as a woman? It’s most important to me to be a woman. Being a dancer is something I’d be regardless of how I identified when I was born. If I’d been born a girl I’d have been a ballerina, if I were happily a boy and not gender dysphoric I’d be happy dancing male roles. 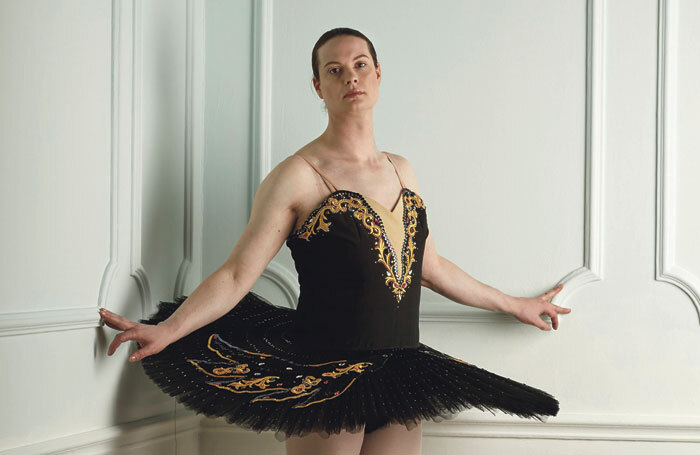 I don’t dance because I’m transgender, I dance because I’m a dancer. What impact did Lynne Reucroft-Croome’s [partner at the Lynton Academy of Dance, where Rebecca trains] decision to teach you as a female dancer have on you? It’s been immeasurable. In a world that can be so hostile to non-gender-conforming people, having my safe place where I could be the true me doing what I love has kept me together through the worst of my gender dysphoria. Looking in the mirror when I dance, I see the girl that’s on the inside reflected and it brings me so much comfort. You took your first classes as James [her birth name] at 17. What happened and why was that unacceptable to you? At that time, I was just desperate to dance, so I found a teacher who was happy to teach me as James and I loved finally being able to dance, however one evening my teacher had to move class to another location and rang my home. When my mother answered – who didn’t know I was dancing – for some reason she felt compelled to tell my teacher about my gender dysphoria and tutu. Sadly, the teacher decided after that she couldn’t teach me anymore. I was heartbroken. After just finding somewhere to dance, I’d lost it and I’d done nothing wrong. It’s not like I’d turned up in a tutu. I just wanted to dance at that point and was fighting the desire to be a girl. What happened when you were no longer allowed in class, and how did that affect you? I felt very wronged and it made me more angry at myself for wanting to be a girl. At the time, I was really struggling with my gender dysphoria as my body was becoming more male, but I also hated myself for feeling like that. I wasn’t going to stop dancing, though, and fell back to practising and teaching myself using books. Have you contacted any foreign companies? I’m very realistic about my opportunities as a dancer. As much as I’d love to be on stage one day, it’s unlikely to happen, and it’s not about being trans, it’s about being a 30-something, adult beginner. I can’t see that there’s too much demand for that. Is your height [6ft 3in] an obstacle? My height isn’t going to stop me dancing or taking my exams. My age and ability is way more of an obstacle than my height ever will be, and as Lynne keeps telling me when I’m sulking about my height, having such long limbs helps me create beautiful lines. What elements of the transitioning process are likely to affect your dancing? At the moment, the hardest part is the loss of muscle mass. Without testosterone, muscle bulk and strength drop dramatically, and although I’ve loved seeing the bulk go, along with the fat redistribution from my waist to my hips and other places, it means my centre of gravity is constantly shifting. Each lesson it’s like dancing in a different body – the hips have also started tilting forward slightly, which has been very painful, and I have to work twice as hard to be able to get the same elevation, etc. Why do you think the public profile of the trans community has risen so quickly? Lately we’ve had a lot of very good role models flying the flag for the trans community, like Stephanie Hirst, Rebecca Root, Laverne Cox, Sarah McBride, Ayla Holdom (I could go on). And of course we can’t have missed the media reaction to Caitlyn Jenner. With this publicity and knowledge, trans issues have hit a tipping point where knowledge and acceptance is spreading, so more people feel confident to come out. You have to think that when we choose to be visible, we risk losing everything – family, friends and jobs – and that’s a hugely daunting thing we have to get over. The more people we have raising awareness, the better. It’s certainly helped me over the last few years. Do you think your story will make a difference to attitudes towards trans dancers and gender rigidity in dance? I really hope so. I’ve had wonderful messages from all over the world from other trans dancers who saw an article about me and realised they aren’t alone. Ballet is difficult, though, because at a professional level it demands a certain type of person. Lynne said it best that dancers are like thoroughbred horses; if you were trans and had treatment early and had the right body, people wouldn’t know you were trans unless you chose to tell them and why would you risk it? But if you have (and I’m aware of several) little boys who want to be girls in ballet class (and vice versa), then why not show them compassion and share the love of dance by giving them a precious, safe space to be who they are?